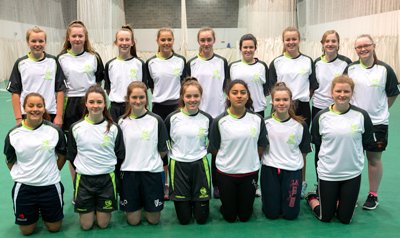 Leinster players dominate the Ireland U15 and U19 girls squads with an incredible 36 of the 40 players named emanating from the region. It's a reflection of the undoubted strength and depth of the area in comparison to the Northern and NW Unions, although there has been a lot of work carried out in recent times in an effort to redress the balance. Eight Leinster clubs are represented in the U19 ranks, with Clontarf, Malahide, Phoenix, Leinster, and The Hills having two players, with Merrion and Pembroke have three in the ranks and YMCA one. The U15 squad has 19 players from the region, with seven different clubs represented. Leading the way are YMCA with five included, while Phoenix and Malahide have four each included. Leinster and Clontarf have two players in the squad, while The Hills and Rush have one apiece. Aoife Brennan (Clontarf), Sadhbh Breslin (Merrion), Sarah Condron (Malahide), Alana Dalzell (Bready), Sarah Forbes (YMCA), Jennifer Hanna (Donaghcloney Mill), Ali Keenan (Phoenix), Maria Kerrison (Leinster), Anna Kirk (Clontarf), Hannah Little (Pembroke), Jane Maguire (The Hills), Tess Maritz (Malahide), Eimear Mullen (Pembroke), Mya Naughton (Merrion), Cliodhna O’Reardon (The Hills), Emma Paul (Merrion), Jenny Sparrow (Leinster), Cliona Tucker (Pembroke), Sarah White (Phoenix). Alison Black (Phoenix), Katie Brophy (Malahide), Sarah Brownlee (YMCA), Ava Canning (Leinster), Alice Clinton (The Hills), Zara Craig (Eglinton), Beth Deacon (Malahide), Georgina Dempsey (Phoenix), Juliette Evans Garrett (Malahide), Amelia Flanagan (YMCA), Rebecca Gough (Rush), Zoe Hoffman (YMCA), Amy Hunter (Instonians), Joanna Loughran (Leinster), Anna Marshall (Clontarf), Sophie McDonough (Phoenix), Emma McEvoy (YMCA), Aoife Mitchell (Malahide), Ella Pasley (Phoenix), Freya Sargent (Clontarf), Síuin Woods (YMCA).